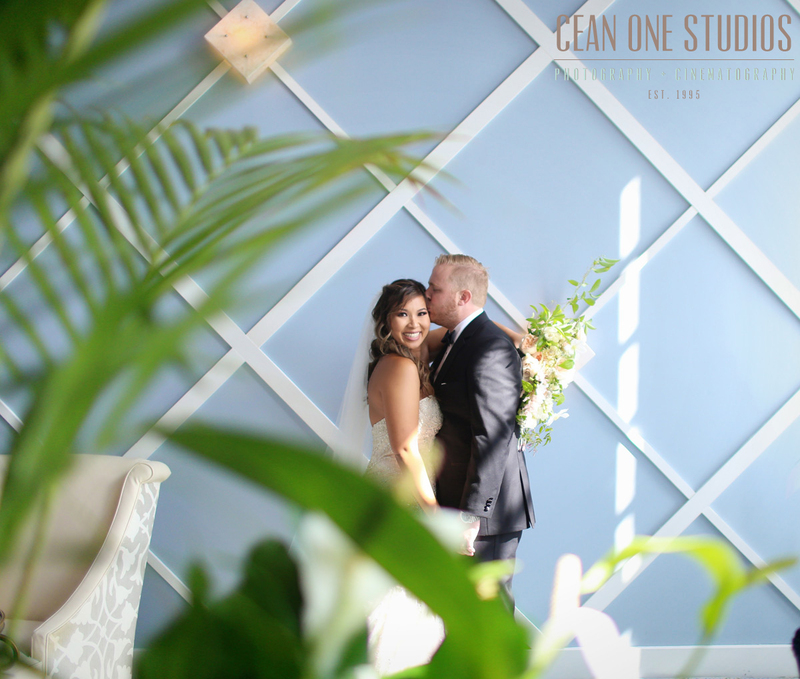 Set in the Portofino Hotel and Marina, Annie and Logan’s day was one for the books! Her: a school teacher; him: an accountant; both: as lovely as could be. Their day was the perfect warm Southern California afternoon with a salty breeze and blue skies. It was the perfect day for a Portofino Wedding! The day found us in Annie’s bridal suite surrounded by her bridesmaids, family and close friends. Her attention to detail showed in every aspect of the wedding. We love capturing those little details each couple spends time on that makes their day unique. 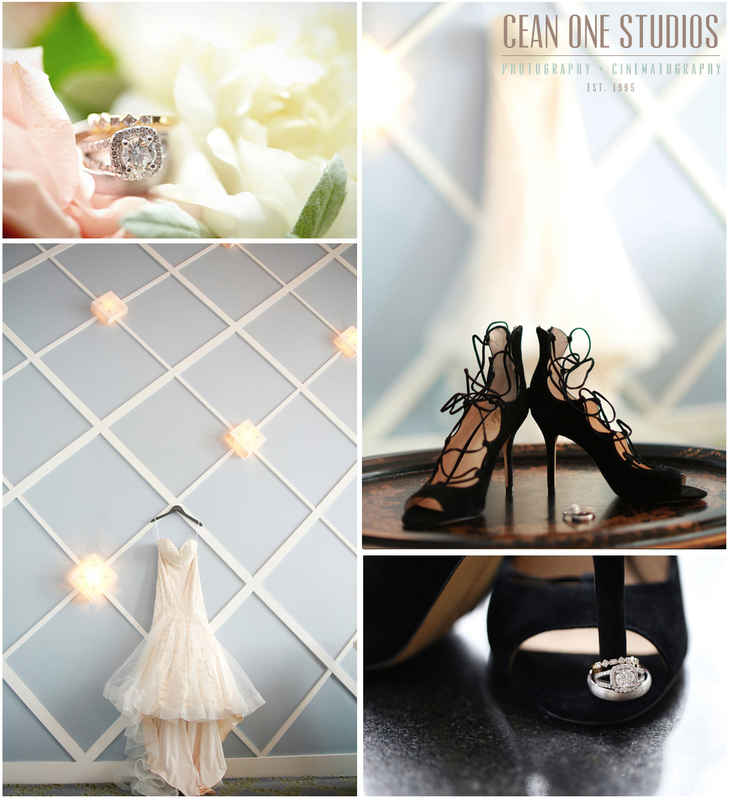 Annie had us over the moon with detail shots of her dress, shoes and flowers. Before slipping into her wedding dress, Annie and brides maid’s had a little fun. A bottle of blue champagne, a room full of bridesmaids, and the party was on! “Let’s never forget how we popped blue champagne and partially ruined a hotel room floor together!” joke Annie in her thank you note to us. The pre-wedding excitement included exchanging gifts. For Annie, a camera for their European honeymoon. (A gift after our own hearts!) For Logan, the perfect watch for an accountant. Up next was possibly our favorite moment of any wedding: the first look! Logan’s nervousness was nothing short of sweet. The look of love on their faces when they saw each other for the first time on their wedding day was truly priceless! With seals barking in the background, the ceremony took place oceanside. Both exchanged vows that were heartfelt with a touch of humor. The Pièce de résistance was the reception. The thought and attention to detail Annie and Logan put in was unmatched. 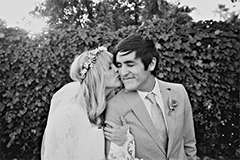 They used her love of teaching as inspiration for the reception details. From old library cards as table assignments, to vintage books incorporated in the center pieces, no detail was left behind. 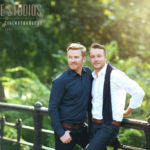 The best part was that with all the attention to detail and planning they put into their wedding, they were a couple who was able to truly enjoy the fruits of their labor and love. “We were able to soak in every minute,” says bride Annie. To Annie and Logan, we wish you many more years of sparks! 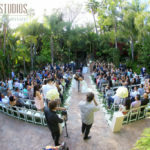 For information on booking us for your special day, contact us!